“Internet trolls provoked outrage over Halloween by hanging “It’s OK to be white” posters on several American and Canadian college campuses. The signs were reported at Harvard, Princeton, Auburn, the University of California Berkeley, the University of Kansas, Tulane and Western Washington, as well as the University of Alberta and the University of Toronto. Campus officials typically removed the signs once they were discovered. The posters were condemned as “divisive” and “racist” by students and administrators alike. In several cases, the police were called. 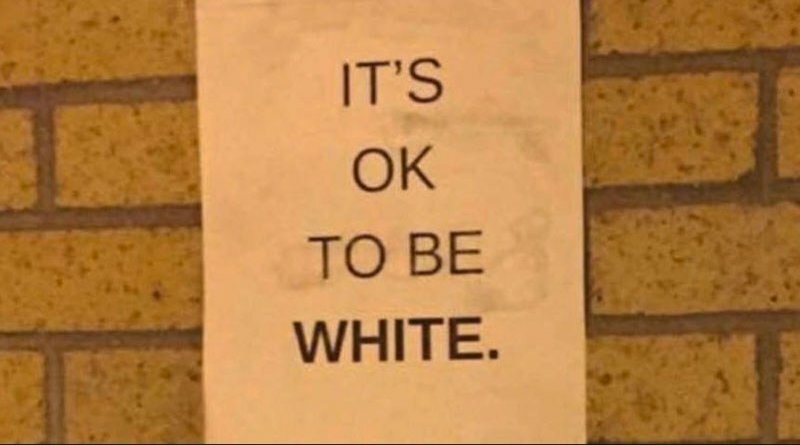 Distribute news of the campaign to various bulletin boards and download a PDF copy of a poster with the words “It’s OK to be White” from a pre-arranged page. “The point is to have the MAXIMUM CONTRAST between how evil the media portrays these posters, and how clearly benign they are to normies,” the instructions continued. Do not alter the poster: uniformity is key, it will have the biggest impact,” the 4Chan instructions added. That newspaper said that “since Tuesday, the posters have been spotted in Rocky River, Ohio; at Concordia College in Moorhead, Minn.; at Tulane University in New Orleans; at Montgomery Blair High School in Silver Spring, Md. ; around college-campus rich Cambridge, Mass., including the Harvard Yard and at the University of Alberta in Canada. “In most cases, schools and cities have pulled the posters down, but the message has continued to spread in images and hashtags across Twitter and other social media platforms, even prompting a related Know Your Meme entry detailing its Internet origins and cultural backstory. By early morning of November 4, news articles about the campaign had appeared in the Fauquier Times, The Gateway Online, The College Fix, WND.com (which reported that it had “sparked police probes”), Cleveland Scene Weekly, The Boston Globe, Sputnik International, W*USA , WJLA, Media Matters for America, KCRG, WDAY, Minneapolis Star Tribune, Minnesota Public Radio News, Grand Forks Herald, Duluth News Tribune, and the Bismarck Tribune—and was rapidly spreading further. 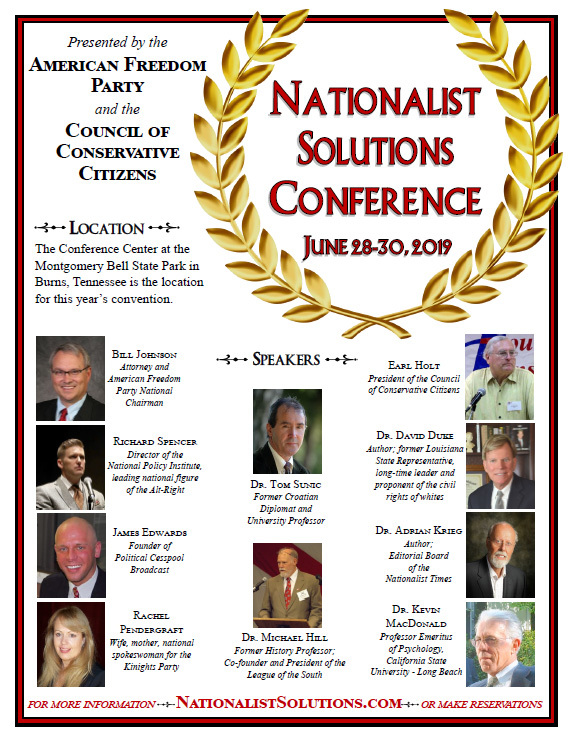 The fact that such an innocuous poster could provoke such an outcry is indeed evidence that the original organizers were absolutely correct in their strategy: just being white is a “hate crime” in the eyes of the media and the establishment. The envious hate us all on sight: They prefer darkness to the light. And preach the “brotherhood of man”: But all Caucasians they would ban. Make’s it hard for me to figure: I’d fit in if I were whigger. The Origins of “White Supremacy”? Democrats!